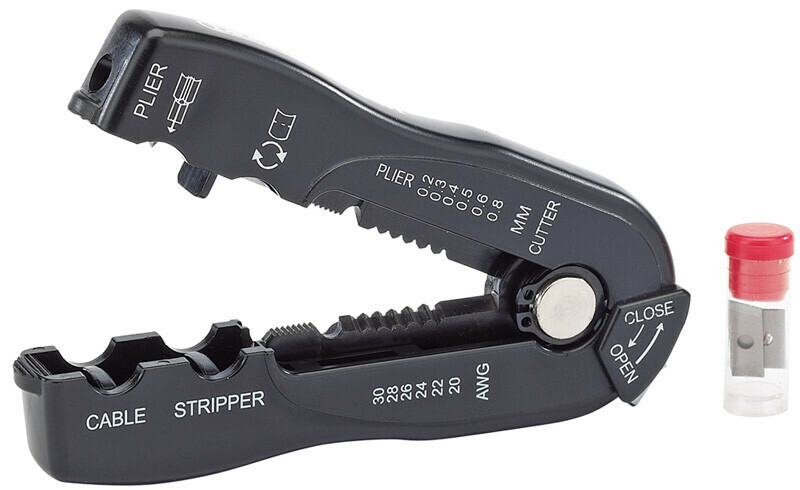 Expert Quality, pocket-sized for cutting and stripping cable and wire. Incorporates pliers in the jaws together with open/close lock keeps jaws closed when not in use. Wire stripping range 0.2-0.8mm²/30-20AWG. Spring-loaded jaws for one-handed operation. Supplied with two replacement chrome molybdenum cable stripping blades. Display packed.